On Wednesday, two female suicide bombers killed over 60 in a camp of displaced northeast of Dikwa, Nigeria. The camp was uprooted from their homes due to a Boko Haram insurgency, and is suspected to have been killed by the same group. Boko Haram was titled the “Deadliest Terror Group” at the end of 2015, surpassing ISIS in their death totals by over 500. In a February 5th interview, President Muhammadu Buhari of Nigeria stated that he is “not asking for any [military aid beyond training missions]. I want to be briefed first on the situation from the Nigerian military and also the police.” As of late, Boko Haram has reportedly lost most of its gained territories, but has turned to “vicious, asymmetric attacks” and mirroring techniques of the IS. The group is still very much a threat to civilians in Nigeria and neighboring countries. So one must ask: What has the United States been doing to help remedy the situation in Africa? 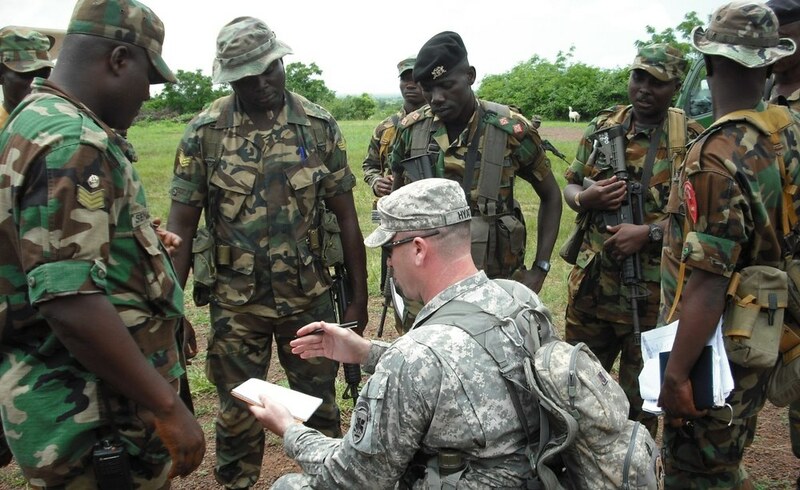 The US has been keen to condemn the recent actions of Boko Haram and tie them to the Islamic State, but has not announced any new efforts or initiatives to bolster current operations. We have also seen US officials clump Boko Haram with other terror groups in the MENA region, rather than treating it like a separate beast. Secretary of State for Defence Michael Fallon referred to the group as an “ISIL-Daesh franchise” in December 2015, and further plans to mediate Boko Haram have been in general, area-centric terms. “We are trying to give them a little more robust — a little more help, to have more robust resources to deal with, you know, a fluid situation that spans such a large, a large swathe of geography from al-Shabaab to Boko Haram, AQIM, across the northern part of the continent,” said Undersecretary of Defence Michael McCord in a press briefing. Whether it be global or regional, coalition has been the foreign policy name-of-the-game for a war-weary US. With troops still deployed in Afghanistan and other lingering conflict areas, putting American lives on another front is being avoided. “It is clear that, while we must bring terrorists to justice, we cannot sap our strength with endless interventions abroad. We need a smarter approach,” said Sarah Sewall, the State Department’s Under Secretary for Civilian Security, Democracy, and Human Rights, in a speech. While training of forces has been provided, as well as additional resources, the vast majority of those fighting against Boko Haram are those from the region itself. In short, US actions in Africa have been consistent with their other recent foreign policy ventures. Despite the fact that various terror groups have been breeding in the region for sometime and have acted out, the chances of United States intervention for Boko Haram are as low as they are for ISIS in Libya.